Doha will fund the construction of the Palestinian Authority (PA) headquarters in Gaza in a move supporting reconciliation between West Bank-based government dominated by Fatah and Gaza ruler Hamas, Qatar’s envoy to Gaza said on Tuesday. “Qatar has agreed to build the headquarters of the presidency and the headquarters of the Palestinian government in Gaza after the consensus government assumes its duties fully,” Mohammed al-Amadi announced. Amadi said that Doha agreed to sponsor the projects after PA leader Mahmoud Abbas made the request. 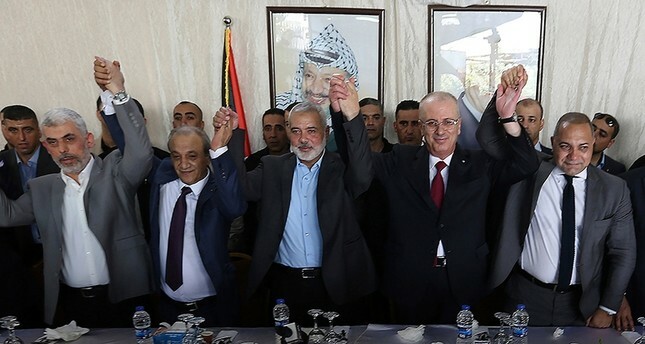 Hamas and its rival Fatah this month agreed to put aside their rivalries and to form a unity government with the PA taking control of Gaza. The Islamist movement has accepted to relinquish the enclave Strip to the PA by December 1. The Presidency and headquarters of the Palestinian government were targeted in Israeli 2008-2009 and 2012 airstrikes as part of wars fought between the Islamist movement and the Jewish state. Qatar has been a strong supporter for Hamas and has emerged as the leading state in the reconstruction of the impoverished Strip following the 50-day war between Hamas and Israel in 2014. 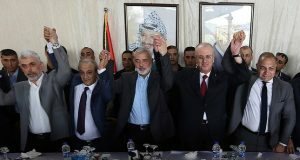 The reconciliation deal signed in Cairo and blessed by the United Arab Emirates (UAE) will hatch out a unity government to include Hamas-backed ministers. Israel has vowed not to recognize any Palestinian unity government encompassing the Islamist movement, which maintains its call for Israel destruction.